Winter finally seems to have finally got her claws into Sydney, the cold and grey days brightened by the number of candles lit at the hive. It’s a lucky fortune, I realise, that we get to light such magnificence daily and it’s a lucky fortune that I love to share. As you may have noticed, I’ve also been pondering gratitude, generosity, gift giving, card writing and all those wonderful things recently because I have a lot of it in my life. Putting all of it together, I decided that one of the keys to spreading the light, brightening up the short winter days was to do an uber special, Queen B’s Long Weekend Sale. All offers are open until midnight on 10th June 2014. And I’ve also been giving some thought as to how you can share the light without breaking the bank and came up with a few ideas on that front too. So, here we go. 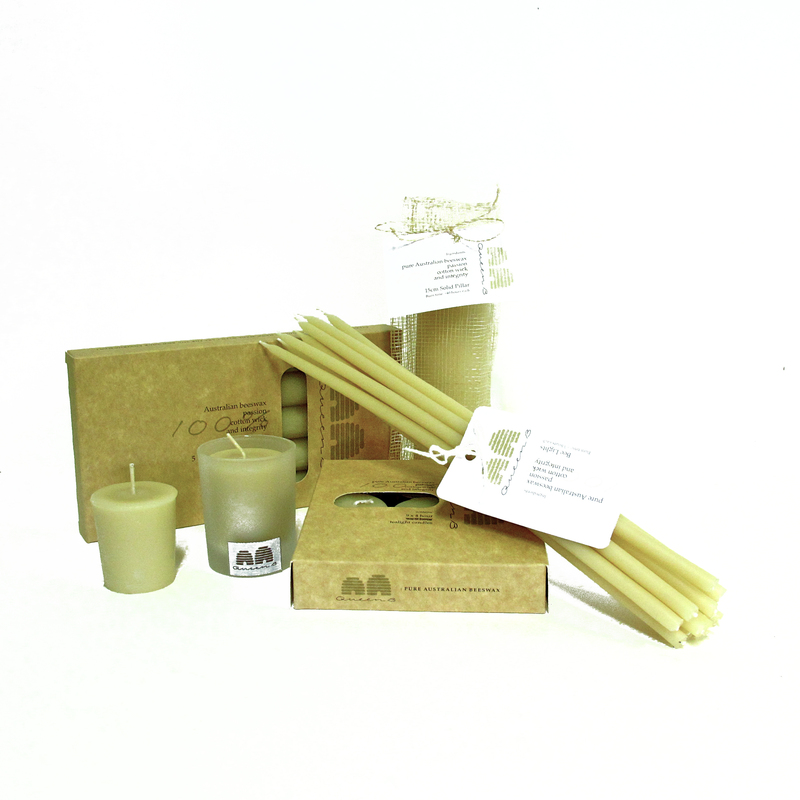 Secondly, my favourite candles in our range – our Bee Light candles. I often send these out as a random gifts of light packaged in a brown envelope (as you see below)… I’ve loaded them up with an option INCLUDING SHIPPING for an additional $3 (i.e. our usual $11 flat rate shipping for orders <$100, free for orders over $100 doesn’t apply). 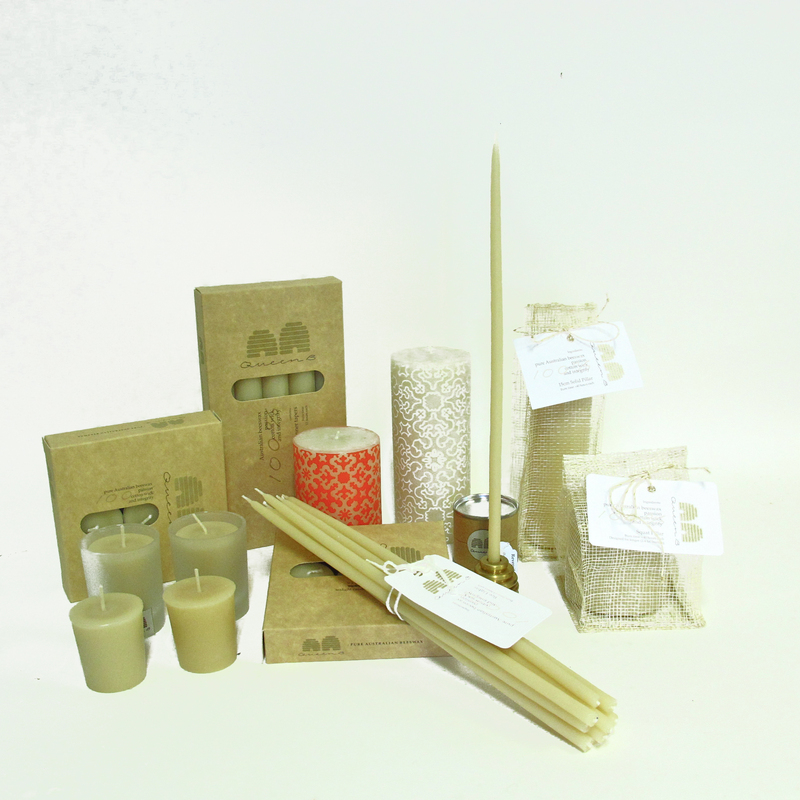 So you can order away to your hearts content and we can ship directly to the lucky recipient. Tick “this is a gift” when you’re checking out and tell us what to write on the card and we’ll do everything. For the next 3 days we’re doing these at 10% off so we’ll pay the shipping cost for you. 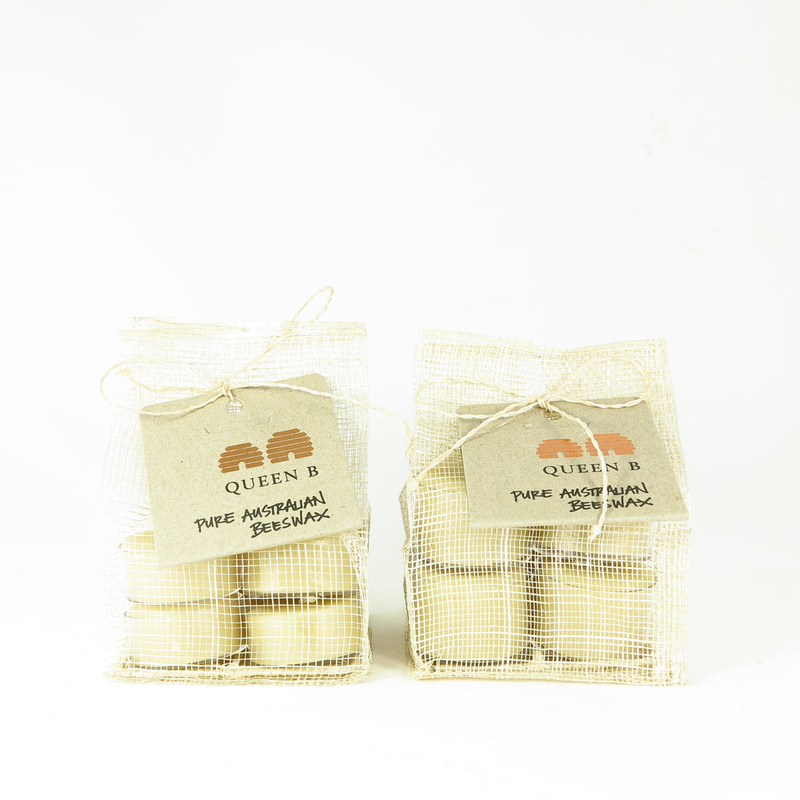 And as a final addition to the plethora of queenie b’s day long weekend specials, I came up with a way of sharing pure beeswax tealight love at a lower cost. 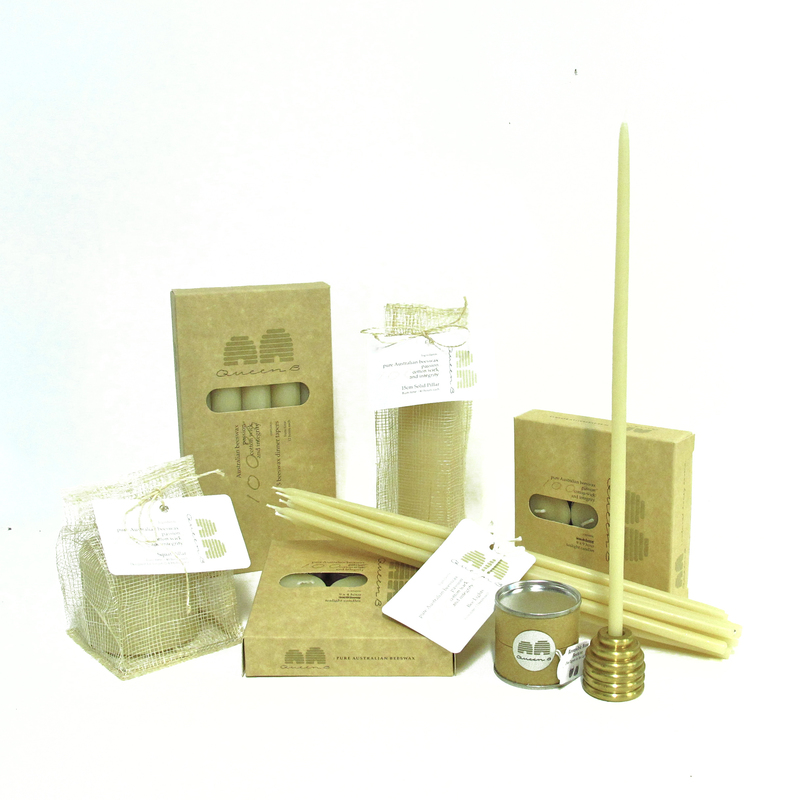 Why not buy a bulk carton of tealight candles and put together your own smaller packs. I’ve loaded up an option to purchase the sinamay bags we use with a swing tag for $2.00 each. 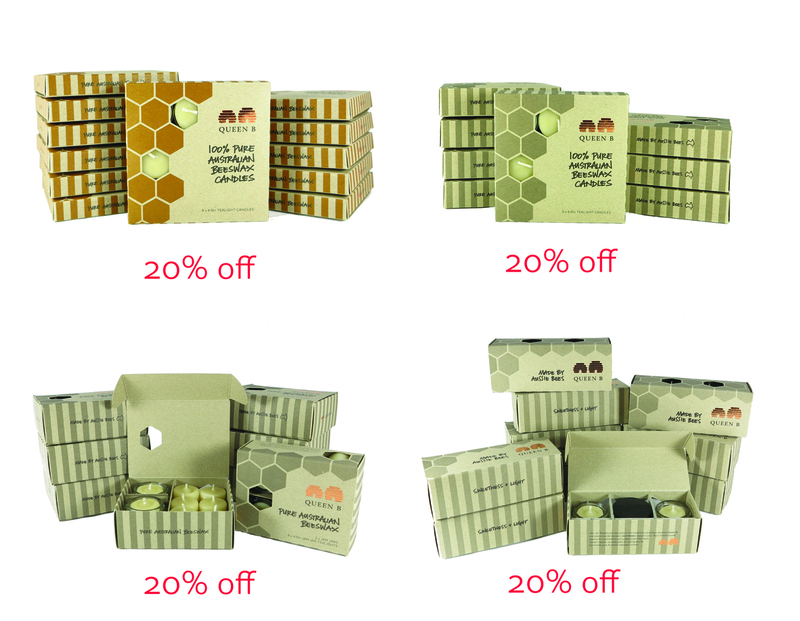 Buy a bulk carton of tealights. Grab a few bags. 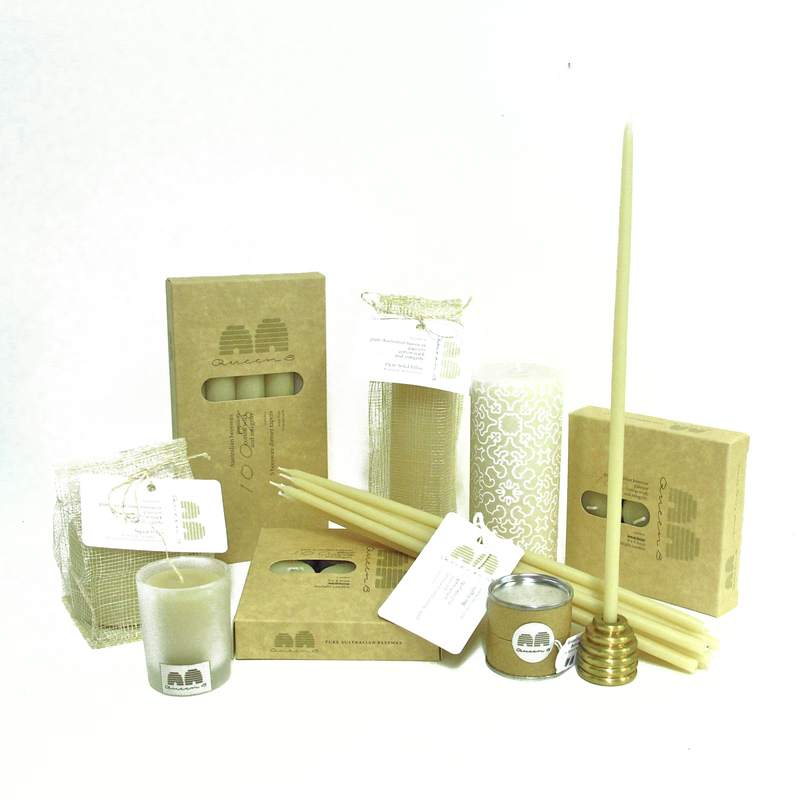 Use some of the tealights for yourself and give some as gifts. I hope you’re having a gorgeous long weekend and hope that we’ll be lighting up the long nights for you through winter.